Our project is all about saving water, increasing efficiency and reducing the environmental impacts of ornamental plant production practices! 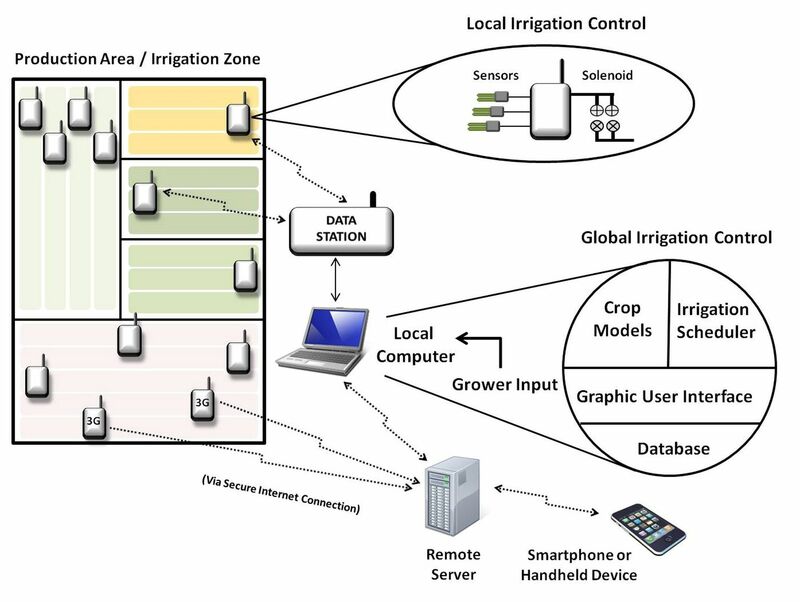 We are using wireless sensor networks and environmental modeling to more accurately predict and apply irrigation water in nursery and greenhouse operations, and monitor green roofs for stormwater mitigation. Our goal is to provide growers with the ability to precisely monitor and control applications of water and nutrients to plants in these production settings, based upon daily plant requirements. Our vision is to provide the nursery and greenhouse industries with cost-effective equipment and strategies that can be used to reduce the volume and cost of inputs, increase profitability, reduce the environmental impacts of nursery and greenhouse production and encourage sustainable practices in the United States and beyond. The purpose of this website is to provide you with an overview of our project and information about the research and development of an advanced environmental monitoring and irrigation system. We are actively collaborating with a number of commercial growers using their production areas as test environments. These collaborations will help us learn to best implement this new technology to minimize cost and maximize efficiency. The SCRI-MINDS project has demonstrated multiple benefits of wireless sensor control systems for commercial nursery and greenhouse operations — This starts with reducing water applications compared to our best irrigation managers by between 40 and 70% depending on crop and season. However, these reductions in irrigation water use also extend to significant reductions in nutrient leaching and crop loss due to disease, with associated environmental benefits. As importantly, we have demonstrated that there are multiple benefits which are associated with increased timeliness of irrigation decisions, which all translate into increased crop yield and quality and ultimately increased profitability for growers. The success of this project will culminate in the commercial release of the PlantPointTM advanced sensor network control system by Decagon Devices, Inc. in early 2015.